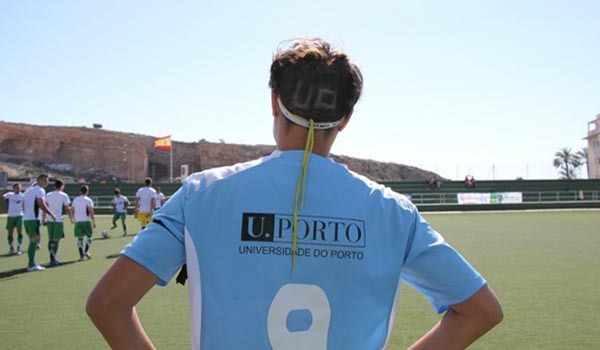 In 2016, the U.Porto hit the record for medals won in the National University Championships, the most important competition of university sports in Portugal? Fighting exam stress at a zumba class, playing squash or swimming in one of Europe’s most modern university sports complexes, playing football on a synthetic turf pitch or competing against the best university athletes in major national and international university sports events – all of these things are possible for U.Porto members thanks to the University’s strong commitment with the promotion of sports in the academic community. Led by the U.Porto Sports Centre (CDUP-UP), this work is materialized in a wide range of top quality sports facilities and programmes which ensure that sports can be played on all three University campuses. Every day hundreds of students and also people outside the University take part, for example, in classes in more than a dozen activities within UPFit ("Fitness at UPorto") programme., the perfect choice for those who want to take a break from studying/working or just to keep fit and healthy! The U.Porto students can also aspire to represent the University in the Nacional University Championships (CNUs) and international competitions in more than 50 sports ((Handball, Badminton, Basketball, Fencing, Football 7, Roller Hockey, Rugby 7, Tennis, Archery and Volleyball, etc). If they do, they also benefit from Student-Athlete Status. For more information on programmes, prices, opening hours etc. you should go to one of CDUP’s service points.